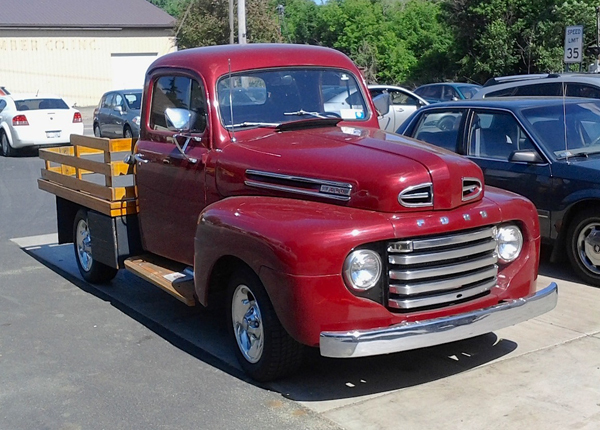 This 1948 Ford truck looks like it’s ready to go out on a few quick deliveries. Ford did make a 6-1/2 foot stake struck for 1948, with removable stakes for use as a flatbed, but this one looks more like it was concocted from an F-1 pickup. Either way, it’s a pretty sweet ride! Found it a couple of weeks ago in Sanborn. Jim Corbran, RRofWNY Check out our new Facebook page: LuvTheCheapies The post RealRides of WNY appeared first on Buffalo Cars.